Twitch users can now update to v.2.3.5 from the iTunes App Store to receive an abundance of new live channels and a new look chat service. The update, announced on Twitch's official blog, states that chat "sports a new, cleaner look, support for emoticons, and is overall more efficient and more stable." Along with the chat's makeover, users can enjoy 500 more live channels, with 750 now available instead of the previous 200. 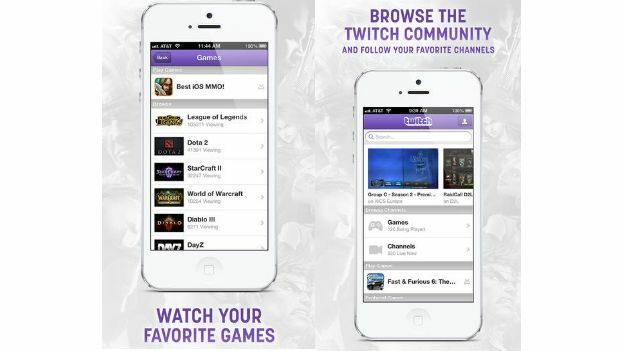 Formally Twitch.TV, the service offers a real-time live streaming platform for gaming, with 'Let's Play' and tournaments. The in-app chatting service allows players to communicate with live interactive chat during gameplay, with broadcasters and other viewers. Other features in the v.2.3.5 update include the ability for players to connect their Steam accounts to Twitch to earn Dota 2, the multiplayer online battle arena game, item drops. An update to in-game advertisements will help our partners but Turbo and paid Subscribers will still benefit from not receiving any pre-roll ads while they play. "Thanks again for sticking with us as we continue to update and improve upon our existing mobile apps. We've made some fantastic progress over the past few months and we're looking forward to even better updates in the future," reports Twitch's official blog post.